In early September a collaboration was formed between GOODS, a curated brand housing some of the latest youth streetwear labels, with andthen-studio, an interior design agency based in London. GOODS location on London Street – Norwich’s main shopping street – was originally a disused coffee shop before andthen-studio moved in to create their new store concept which stocks brands including Sik Silk, 11Degrees, Gym King, Good For Nothing and Sixth June. The local area thrives on independent retail with winding cobbled streets playing home to new and emerging clothing brands, niche coffee roasteries and interior design stores. 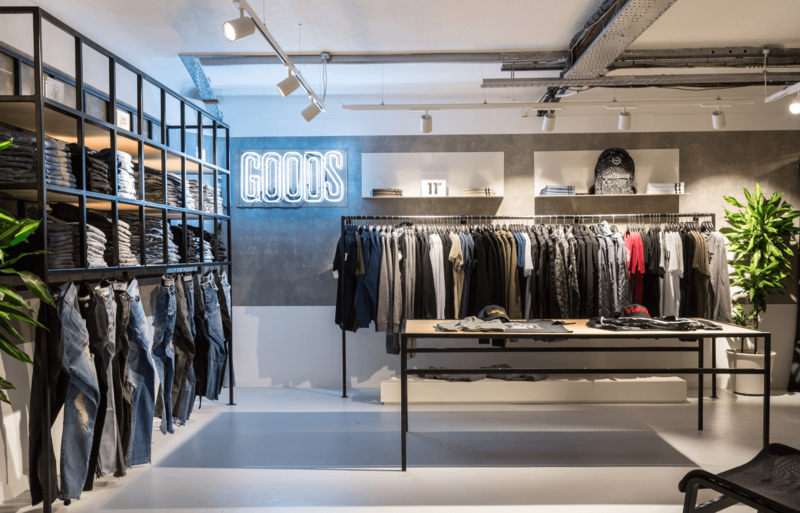 GOODS strategy is based upon a ‘bricks and mortar’ approach, with the store showcasing the product and communicating the image through a physical space; as opposed to popular e-commerce webstores. Trialling the concept online first has become common place in this market due to the decreased barriers of entry, however GOODS have demonstrated that trends are, and can be ignored. This unorthodox route is becoming more common in retail with a focus on creating a physical personality and an environment that is holistic with the brands ethos and product, all whilst providing a tangible experience for the consumer. 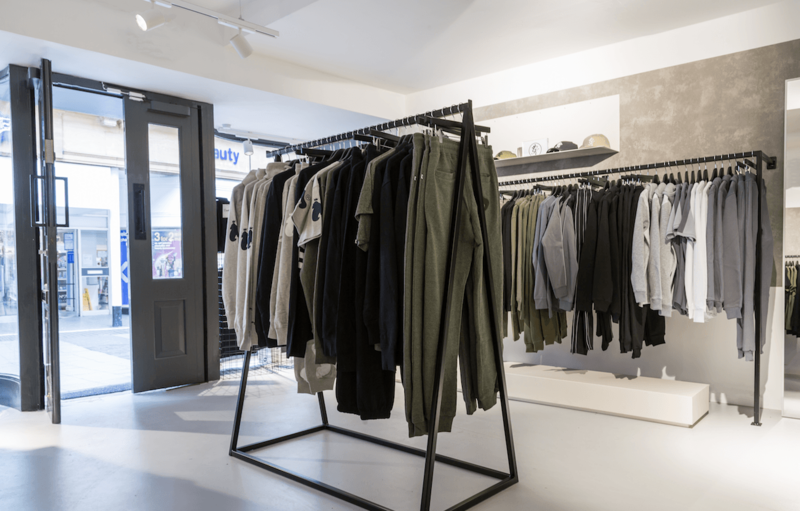 Streetwear brands inadvertently play a key role in influencing the interior design of the stores that they are housed within, with the space needing to reflect and complement the brand. Off-White are one iconic brand that focus on their in-store environment creating an experience whilst ensuring that it is holistic with the product. To achieve GOODS vision for their store andthen-studio created a concise look and feel to ensure that their brand, and the brands that they house, are communicated through a variety and mixture of materials and finishes. When designing a retail space andthen-studio focus on a combination of how human interaction occurs in-store and the aesthetics of the space, all balanced by the function of the store. To identify a successful formula for a ‘bricks and mortar’ store isn’t easy; however, what andthen-studio have demonstrated is a mixture of the right location, the right product, the right interior and the right service all play their part to bringing a new disruptive brand to the Norwich retail landscape. The retail design is an ever evolving and exciting landscape; however, it is full of unknowns. It is imperative to understand not only the brand that you are designing for, but also the end consumer, ensuring that the conceptual approach is rooted in thought process and understanding of the market. andthen-studio vision is to simplify the process for independent brands and collaborate with them to support them on their journey.